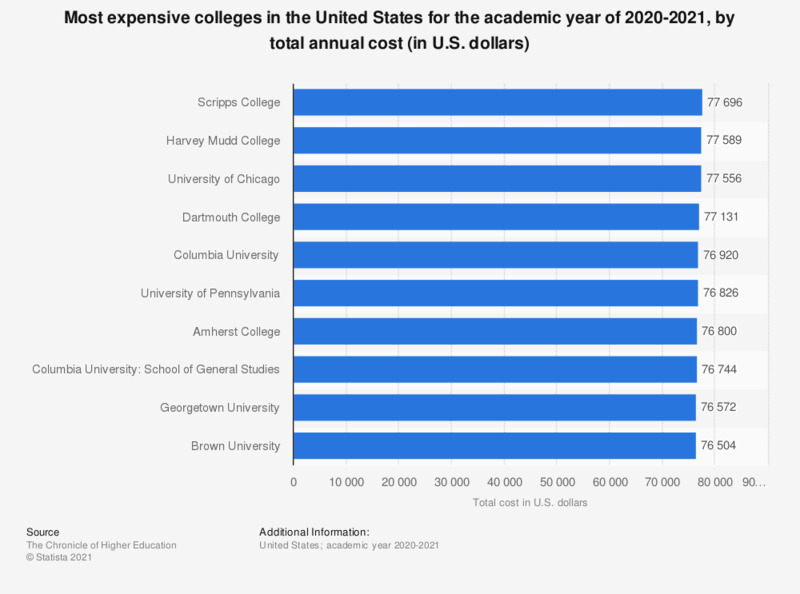 This statistic shows the most expensive colleges in the United States for the academic year of 2018-2019, by total annual cost. Total cost is tuition costs plus room and board. In the school year 2018-2019, Harvey Mudd College was the most expensive college in the United States, with an total annual cost of 75,003 U.S. dollars for out-of-state students. *Total cost is for out-of-state students. Total cost is tuition costs plus room and board.